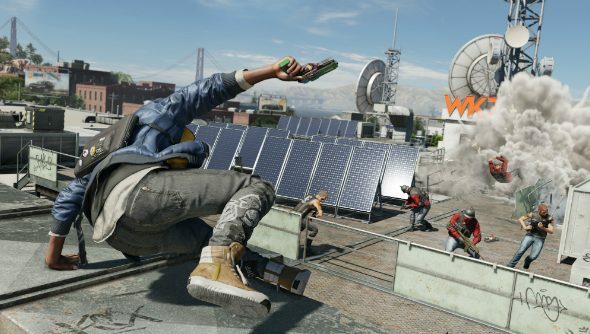 Why does Watch Dogs 2 need guns? One of the few surprises from E3 this year is Watch Dogs 2. It’s not the reveal itself that’s the surprise, but that it’s bright and silly and features a charismatic lead that vaguely resembles a human being rather than a robot sporting a baseball cap. But, as I watched the demos and trailers, there was something that didn’t seem quite right; something that didn’t fit. It was hard to nail down at first because it’s almost ubiquitous in videogames, to the point where I barely notice how odd it is. It’s the prevalence of guns. Are you the kind of maverick who won’t play by anyone’s rules and can’t be put in a box? Try the best sandbox games on PC. Ubisoft Montreal have been really pushing the idea that you can play Watch Dogs 2 however you want. They do that with most of their open-world games, as do most other developers designing sandboxes. It’s this generation’s version of “You can climb that mountain you see off in the distance.” What does it really mean, though? Scrub away the marketing-speak, and playing however you want tends to mean that you can choose between stealth and aggression. In the case of Watch Dogs 2, you can opt to use Marcus’ many, many fun toys like drones, RC cars and tasers, or you can just be boring and spray bullets out of an assault rifle. It just seems so unnecessary, that second option. And a bit nonsensical. I mean, Marcus is a bespectacled hacktivist who ostensibly wants to liberate San Francisco from a corrupt system. Blowing up cars and murdering goons doesn’t strike me as a very sensible approach, if that’s the case. It makes him a criminal at best, a terrorist at worst, but more importantly doesn’t really gel with what we know about the game so far. And here’s the thing: Ubisoft Montreal could have made this game without a single firearm, and it could still offer a great deal of freedom. They’ve already boasted about the many routes you can take to complete a mission, and there’s more than one way to get through a scenario subtly and without letting off a single bullet. As games continue to grow in scope and complexity, interacting with virtual worlds through guns feels increasingly antiquated. There are plenty of games that justify it, and I’m not going to sit here and say that Doom or Rainbow Six: Siege need to lose the firearms, but Watch Dogs 2 is well positioned to offer something different and novel. And then there’s the issue of making Marcus, specifically, a gun user. 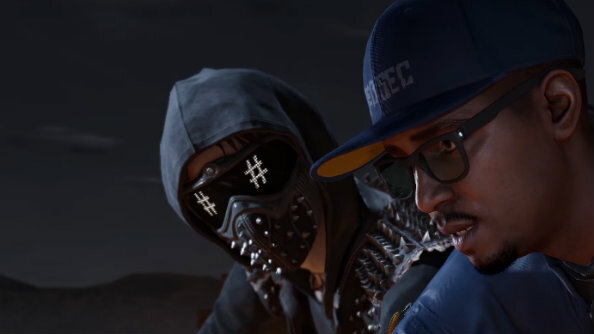 Watch Dogs 2 features a rare non-white protagonist, accused of crimes he didn’t commit. He’s the good guy seeking to clear his name and take down the dystopian surveillance state. The very simple point that’s being made – that profiling is both wrong and dangerous – is made hollow by the fact that players can transform him into that very stereotype. One could argue that, in a game that offers as much freedom as we’re being promised, we’ll be able to avoid killing entirely – and Ubisoft Montreal have already said as much. But that misses the point. 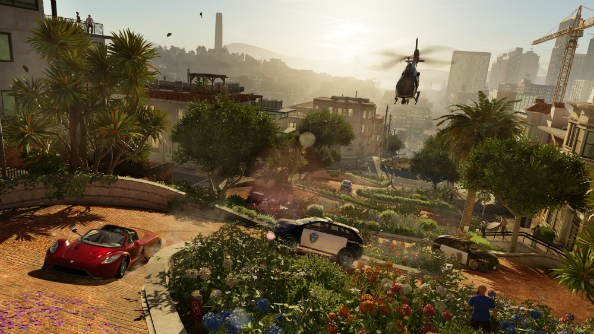 Watch Dogs 2 is an open-world game about hacking. Not battles. Not gang warfare. Not Space Marines. So what do the guns offer, aside from cheap thrills? I’ve yet to play Watch Dogs 2, of course. Like most of you, my experience of game comes from trailers and developer walkthroughs. Perhaps Ubisoft Montreal are very aware of the issues I’ve mentioned. Perhaps there will be meaningful consequences if you choose to engage with the world violently. Maybe there’s a point being made that’s yet to be revealed. I hope so, but historically this is rarely the case.